TD4 Injector Washers & Seals. 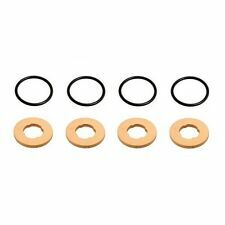 Freelander 1 2.0 TD4 New Injector Washers & Seals Set. Land Rover Freelander 1 2.0 TD4, (2001-2006). Will also fit BMW's with M47 2.0L Diesel Engine. Freelander Parts. Series 2 & 3 - Defender 90/110/130, Discovery 1,2,3,4,5 & Sport - Freelander 1 & 2 - Range Rover Classic, P38, L322, L405, Sport & Evoque. New injector washers. Will fit many different models. Buy a new fuel injector wiring loom which suits all Land Rover Discovery 2 and Defender models with Td5 engines. Injector Wiring Harness. Available in the Glasgow Area. Channel Islands Northern Ireland - AB31-AB56, IV40, IV54, IV63, KW1 - KW14 INC Orkney Islands, PA21 - PA38, PH4 - PH50, HS1 - HS9, All Western Isles, IV41 - IV51, IV55, IV56 SKYE, KA27, KA28, KW17, PA20, PA41 - PA78 Inc Shetlands, Isle of Scilly, Guernsey, Isle of Man, Isle of Wight. 1 x Fuel Injector Loom/Harness for Land Rover Defender (TD5) or Discovery 2 - Part No. The fuel injector harness is prone to oil ingress that at first causes a misfire and the oil can migrate right down the wiring harness into the engine wiring loom and into the ECU. PARTS NUMBER:DA6126. LAND ROVER DEFENDER PUMA 2.4. HIGH QUALITY DIESEL INJECTOR SOCKETS. 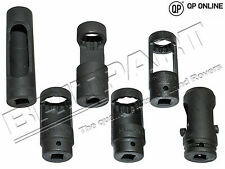 A SET OF 6 SOCKETS SPECIFICALLY DESIGNED FOR REMOVING DIESEL INJECTORS. 28mm WITH LOCATION COLLAR FOR 2.4/2.5D ON LAND ROVER. PART NUMBER: AMR6103. OEM SPEC TD5 FUEL INJECTION HARNESS. FITS: ALL TD5 MODELS DEFENDER & DISCOVERY 2. Part numbers are used entirely for identification purposes and do not reflect the manufacturer of the product. AMR6103 - OEM - Injector Wiring Harness. Land Rover - Defender - Fitted with TD5 Engine. Land Rover - Discovery - Fitted with TD5 Engine. Carriage prices quoted are for UK Mainland only. Wiring Harness / Loom For Injectors. PARTS NUMBER:DA1235. LAND ROVER DEFENDER 90/110/130. LOCKING TOOL TO RESTRAIN THE FUEL INJECTOR SPROCKET DURING THE FUEL PUMP REMOVAL/INSTALATION. HIGH QUALITY FUEL INJECTOR LOCKING TOOL. FITSLAND ROVER DEFENDER 90/110 TD5 MODELS 1998-2006 & DISCOVERY 2 TD5 MODELS 1998-2004. Getting your new products to your door is our No1 priority. 18-09-2018 11:23:34. PART NUMBER - RTC6702. Defender 200TDi and 300TDi with single wire to solenoid. Discovery 200TDi and 300TDi with single wire to solenoid. Ranger Rover Classic 2.5VM Diesel, 200TDi, 300TDi with single wire to solenoid. 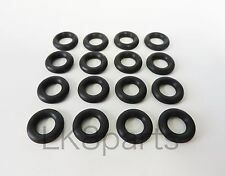 DA2479 LAND ROVER TD5 INJECTOR WASHER & O RING KIT. FITSLAND ROVER DEFENDER 90/110 TD5 MODELS 1998-2006 & DISCOVERY 2 TD5 MODELS 1998-2004. Conversion Parts Conversion Accessories. Getting your new products to your door is our No1 priority. LAND ROVER RANGE ROVER & SPORT DISCOVERY & VELAR. RANGE ROVER VELAR 3.0 V6 Diesel. INJECTOR WASHER SEALING. DISCOVERY 4 2010 - 2016 3.0 V6 Diesel. DISCOVERY SPORT 2015 2.2L CR DI 16V Diesel, & 2.2L DOHC EFI TC DW12. WILL FIT: LAND ROVER DEFENDER TD5 1998-2006 / LAND ROVER DISCOVERY TD5 1999-2004. 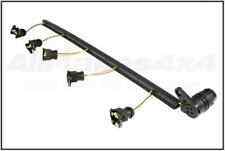 LAND ROVER DISCOVERY 2 1999-2004 TD5 DIESEL FUEL INJECTOR WIRING HARNESS ENGINE LOOM. Is the engine in your TD5 misfiring or have a rough idle, this is often caused by a faulty Fuel Injector Wiring harness. 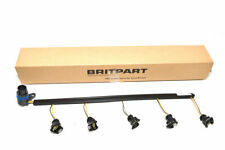 WILL FIT: LAND ROVER DEFENDER TD5 1998-2006 / LAND ROVER DISCOVERY TD5 1998-2004. Is the engine in your TD5 misfiring or have a rough idle, this is often caused by a faulty Fuel Injector Wiring harness. We have a New Set of 2 Fuel Injector for GEMS engine fits Discovery I 1, Defender, Range Rover Classic, Range Rover 95-98. We are Rover people. We have a New Fuel Injector for GEMS engine fits Discovery I 1, Defender, Range Rover Classic, Range Rover 95-98. We are Rover people. We have a New Fuel Injector Oring Set ( 16 pcs ) fits Discovery 1 94-99, Range Rover Classic, Defender & Range Rover P38 95-98. We are Rover people. Need help?. Let's chat. Rims and Wheels. Exterior Accessories. We have a New Fuel Injector Wiring Harness Loom fits Discovery 2 99-04 & Defender Td5 Diesel. We are Rover people. We have a New Set of 2 Fuel Injector for GEMS engine fits Discovery I 1, Defender, Range Rover Classic, Range Rover 95-98. We have a New Fuel Injector fits Defender 07-11 Diesel 2.4L. We have a New Glow Plug ( 1 piece ). Part# LR029960. Fits: Defender 2.2L 12-Up. We are Rover people. Need help?. Let's chat. Rims and Wheels. Exterior Accessories. We have a New Fuel Injector fits Defender 07-11 Diesel 2.4L. We are Rover people. Injector Refit Kit Part # LR037089. LR4 / DISCOVERY 4 10 - 16. LR3 / DISCOVERY 3 05 - 09. RANGE ROVER SPORT 10 - 16. RANGE ROVER 10 - 16. 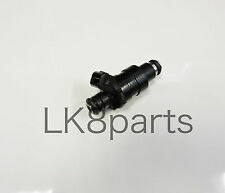 We have a New Injector Pump Stop Solenoid Switch fits Defender 2.25 2.5 Tdi. We are Rover people. Need help?. Let's chat. Rims and Wheels. Exterior Accessories. Engine Parts. Cooling System. We have a New Fuel Injector for GEMS engine fits Discovery I 1, Defender, Range Rover Classic, Range Rover 95-98. We have a New Fuel Injector SET (4 pcs) for GEMS engine fits Discovery I 1, Defender, Range Rover Classic, Range Rover 95-98. We have a New Injector Pump Stop Solenoid Switch fits Defender 2.25 2.5 Tdi.